Lacell Revitalizing Cream Review (2018): Is This Cream Cost Effective? Lacell Revitalizing Cream Review: Does It Really Work? 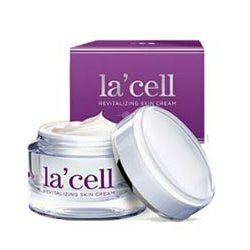 La’Cell Revitalizing Skin Cream states that it prevents signs of aging that occur over the years. The anti-aging-cream can be obtained by signing up to its 14-day trial and uses high-quality ingredients to combat wrinkles and fine lines that cause skin dullness. Customers who do not return the product during the allotted time are charged the full price of $98.71 and enrolled in an automatic refill subscription that they can later opt out of. The product says it can prevent and decrease signs of aging in skin, such as fine lines, wrinkles, and other associated problems that dull the skin over the years. It also lists only two ingredients that have been linked to skin benefits. Little information is available about the manufacturer. As of now it is know that they are based in the United States and only sell their products domestically. Wheat Protein and Hyaluronic Acid are used in order to effectively replenish the skin while also reducing the appearance of wrinkles and fine lines. Hyaluronic Acid: Occurs naturally in the body. Potent moisturizer that binds water to the skin. It is also used to treat skin injuries, wounds, and skin ulcers. It has been said to change how the body reacts to damage. 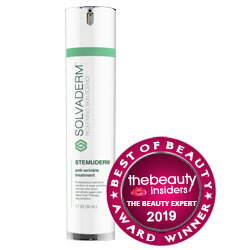 Fills in wrinkles and fine lines in skin for a plumper look. Wheat Protein: Known for decreasing the size of pores. Nourishes and hydrates the skin for an improved appearance. Moisturizes the skin for an improved complexion. Customers can try the cream for up to two weeks before deciding if they’d like to purchase. Negative side effects have not been reported. Hyaluronic acid, one of the key ingredients in the cream, has been proven effective when used on skin. At $98.71 per unit, the cream may be too expensive for some customers to try. 14 days may not be enough time to see whether or not the product is effective. Quantities of the two main ingredients are not published online. Customers have to opt out of the monthly subscription program, adding extra steps to the purchase process. Customers have not yet reported side effects due to use of this cream. Still, the product contains wheat and people who may have an intolerance to this ingredient can consult a physician if they have any doubts. Clean the face and pat skin dry. Rub a small amount of the cream onto the face while avoiding the eye area. Wait 5-10 minutes so that cream can be absorbed into the skin and continue with the rest of your routine. Safe for all skin types. La’Cell Revitalizing Skin Cream contains Hyaluronic Acid as one of its main ingredients, and this ingredient has been shown to hydrate the skin for an improved appearance. However, the amount of HA included in the cream is not mentioned. Possible inactive ingredients or preservatives are not published either. In addition, little is known about the manufacturer, its reputation, or past/current skincare products. Customer reviews of the product on third party websites are also difficult to find. Possible customers are encouraged to try the product for up to 14 days via a free trial, but most anti-aging creams in the market require continuous use for at least 30 days in order to show results. This means customers are not given enough time to test the product. Customers who keep the product for longer than the trial period are subject to charges of $98.71 and are enrolled to a monthly subscription program. Even though customers have the option of removing themselves from the automatic shipping program, having to opt out later adds extra steps. People may prefer a product with a simpler return process.